1. You are an accomplished recreational cyclist and you are ready to "take it to the next level". 2. Cycling is a way of life for you. You can't get enough. Time to turn the phrase "I like to ride my bike" into "I like to race my bike". BUT HOW??!?!?! 3. You have a spouse/significant other or friend who races and you're tired of them getting all the glory and being so "important" (said with jazz-hands). Their precious training regimens, chamois cream and nutritional supplements was a mystery at first, but now you're curious. You figure, "I could do that. What's the big deal? In fact, I WANT to do that." 4. You have uncoordinated fingers and you clicked this page by accident. Regardless of the reason, we're glad you're here. There are several ways you can choose to enter the world of racing. You can certainly just "show up" to a race and do it. There are advantages to this. 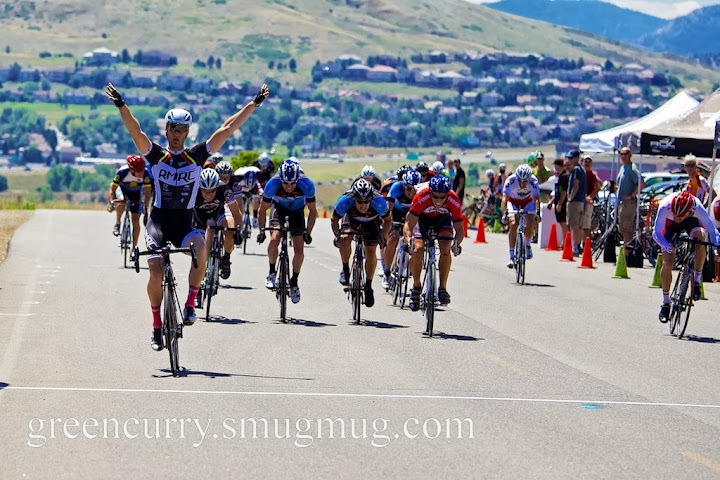 I showed up to my first crit and just raced it before having ever even seen one. This was advantageous in some ways. Mostly I felt that if I had been a spectator I would have sworn crits off forever because they look horribly dangerous from the outside. BUT. It's helpful to do a little research ahead of time, cruise some good websites and go watch (better yet VOLUNTEER at a) handful of races. Once you've done that, time to make some decisions. Do you prefer solitude both on the bike and off? Does the phrase "team kit" annoy you? Do you currently train mostly at off-peak hours; very early in the morning or late at night? Do you have an extremely demanding work schedule and/or family life? It might be the reason you started riding bikes to begin with. The solitude. Racing is a great way to branch out a little while not being inundated with too many more commitments. It's a fantastic opportunity to push yourself while surrounding yourself with people that have a common interest. Do you often find yourself chasing down another rider on the road or trail simply for the opportunity to make conversation? Does the phrase "team kit" excite you? Have you gone to or participated in races, looked around at teams and thought, "That looks like fun. And they seem to know what the hell is going on." Do you have the flexibility within your daily life and training schedule to meet team commitments; group rides, team functions, race minimums? If you answered yes to many of these, then you are probably ready to join a team! You want to ride, train and race with others. Frankly, you're tired of riding by yourself. You find it boring and lonely. Please view the following clip to make certain. Once you've researched, trained, decided to go team or fly Han Solo, eventually you will want to race. You might not feel like you want to 48 hours to right before your first race, but trust me. You need to do it. This brings us to our next segment: The racing checklist.